As a CFP® (Certified Financial Planner ™ Professional), much of my time is spent helping people pursue a very comfortable retirement as well as addressing their other lifetime goals. A comfortable retirement means having enough money to pay all your bills sustainably plus money for the fun things once you no longer need, want or are able to work. Goals along the way typically include paying for college and getting rid of all debts and sometimes second homes, gifting or other personal desires. A good financial plan(and financial planner) gives you actionable tasks toward financial freedom and a very comfortable retirement. A great plan does it in writing. A comprehensive plan is one you revise with the stages of your life and your situations change. To explain, I’ll provide a hypothetical example based on insights from my client’s families. These clients have been with me for 10 years and are now on the fifth version of their comprehensive financial plan. Their goals include early retirement at age 55, paying for children’s college and a wedding, as well as, paying off a high-end home mortgage very early. Those goals changed and re-prioritized over the last 10 years, as I will explain. We started together creating our first written plan when they were a few years out of college and owed enormous student loan debt. Our short term goal was to pay down their student loan debt balancing serious progress on possible early retirement. We also created allocations for their company’s retirement plan, maximized their contributions and discussed living/spending plans. The second version came about when their high student debt was almost paid down. We planned and implemented to use those monthly payments towards early retirement wealth accumulation. We allocated money for projects and for early retirement (what to live on if you retire before 59 ½ and don’t want to take early withdrawals). When the spouse was diagnosed with a long-health issue, we revised the plan again to create a spending plan for living on one income should that spouse need to prematurely leave their job. We also reevaluated our life insurance choices, albeit not too late because we had discussed and started with the first financial plan. Securities offered through LPL financial, member FINRA/SIPC. Investment advice offered through Good Life Advisors LLC, a registered investment advisor. Good Life Advisors LLC and Good Life Financial Group are separate entities from LPL financial. Then came the birth of a baby instigating further plan refinement to include her eventual college and wedding expenses. Some of my clients plan this even before pregnancy so their savings don’t need rebalanced. This couple was focusing on student loans in their first plan. When they changed jobs and move to another state, which came about pretty quickly, we needed to use their wealth accumulation/early retirement bucket to purchase a new house until the old one finished staging and ultimately sold. The sale of the old house provided the means to quickly make great progress towards paying off the new loan despite the new house being more expensive. A low mortgage furthers our plan of living on one salary, should it be necessary. Most recently, we redid the plan based on the new salaries and new house loan. Plus, the state taxes are different in their new state. We reviewed and fine-tuned our investments seeking to take advantage of the differences. The goal of the wealth accumulation bucket was to use the continued savings from that student loan payment (remember back from plan number two) and refocus towards wealth accumulation and pay increased attention to the short-term (in addition to long-term tax implications) of their investments. Looking back over the last ten years of being a financial planner, we have planned for many life changes. Together, we have created a comprehensive financial plan for this family which they have implemented faithfully, yet flexibly. 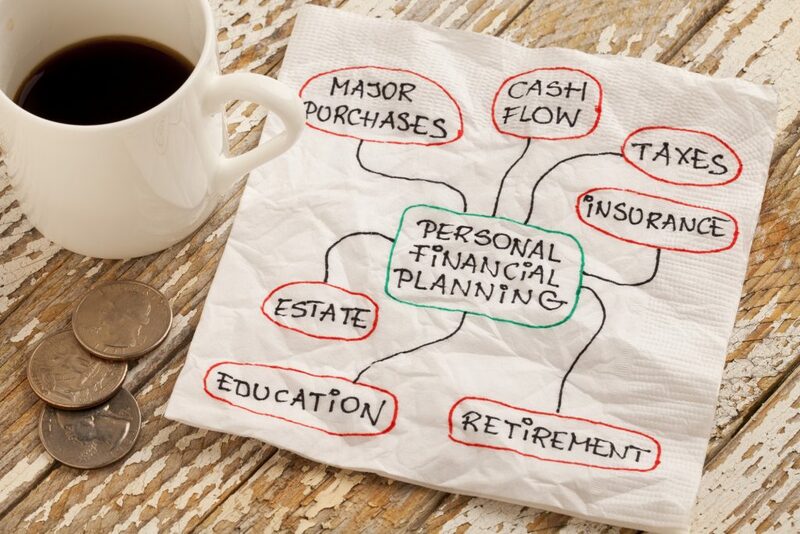 If you are in need of a financial planner, contact me for more information. Even if you don't have much cash to spare, you can start saving for retirement. Start saving today to keep unexpected expenses from leading to financial ruin. 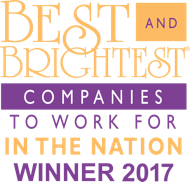 We are honored to be selected as one of the Best and Brightest Companies to work for in the Nation for 2017! Here is a sneak peak of our new location! When was the last time you had a quote for car insurance? It is smart to get a quote every two years. You might be able to save yourself quite a bit of money. Increase your savings with these easy tips. When trying to save money, challenge yourself with a day where you don't spend any money! Learn more about this today. © 2019 Good Life Financial Group. All rights reserved. Do not duplicate or redistribute. Merra Lee Moffitt of Good Life Advisors, LLC, CERTIFIED FINANCIAL PLANNER™ Professional (CFP®), AWMA®, CMFC®, is a wealth strategist. 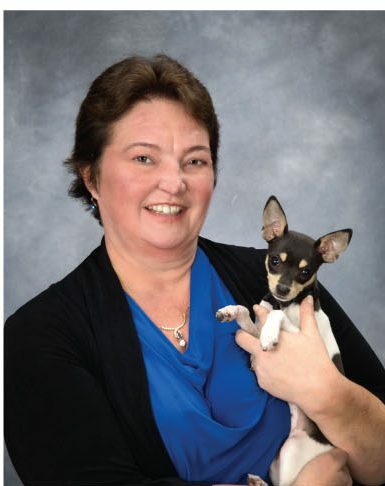 She helps clients in and around Reading PA, Exeter PA, Sinking Spring PA, Lancaster PA, West Reading PA with business planning, financial planning, estate planning, retirement planning, education planning, and more. Her Practice Focus includes financial planning, retirement planning, wealth management, college planning for children and adults, tax reduction planning, business financial planning, and estate planning. 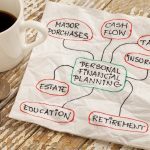 She can help with financial planning for individuals by helping you come up with tax strategies, legacy planning, education planning, and success planning. Merra Lee also helps businesses strategize and create smarter business financial planning ideas, such as business retirement strategies and how to grow your business. Merra Lee Moffitt’s office is located at 2395 Lancaster Pike Reading PA 19607, and can also be reached by phone at 610-898-6927. Securities offered through LPL Financial, member FINRA/SIPC. Check the background of investment professionals associated with this site at FINRA’s Broker Check . Investment advice offered through Good Life Advisors, LLC, a registered investment advisor. Good Life Advisors, LLC and Good Life Financial Group are separate entities from LPL Financial. The LPL Financial Registered Representatives associated with this site may only discuss and/or transact securities business with residents of the following states: AL, CA, CO, DE, MD, NM, OH, OR, PA, RI, TN, TX, VA, WA, WI.